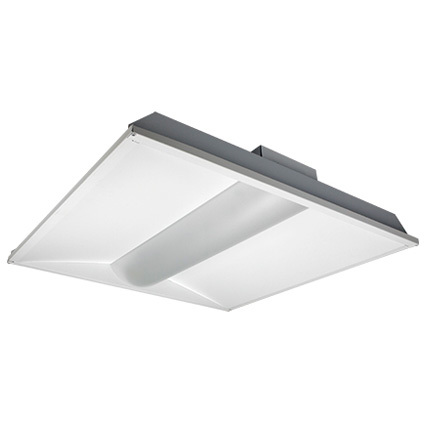 Unviersal's EVERLINE Professional Volumetric Luminaire (PLA) is a recessed volumetric LED Luminaire. Designed for the replacement market, the PLA series is easy to install, delivers even illumination and has a clean, modern appearance designed to visually match the Professional Retrofit Kit (PRK). The PLA is available in 1x4, 2x2 and 2x4 sizes with multiple lumen packages for both UNV or 347V. This fixture has a long life with L70 at 90k hours. CCT's include 3000K, 3500K, 4000K, 5000K. Universal makes it easy to upgrade with LED technology with our EVERLINE "matched" modules and drivers. The PLA is DLC Premium certified and comes with a 5 year warranty.